A cruciferous vegetable, cabbage is often overlooked by the modern homemaker or thought of only as a base for fattening, oily coleslaw or the slippery accompaniment to dried-out corned beef. When I was growing up in San Pedro, California, near the Los Angeles harbor, we ate cooked cabbage several times a week, as we were poor along with everyone else during the 1930s depression. My Yugoslavian parents grew masses of cabbage in our tiny garden patch along with other vegetables familiar to them. My mother boiled cabbage with oil, herbs and garlic for an inexpensive dish, (actually dirt cheap) called cupussa, and while I now know that we were getting very little nourishment from the overcooked vegetable, it did fill our stomachs. But how can I forget the horrendous, sulfurous smell of the cooked cabbage? 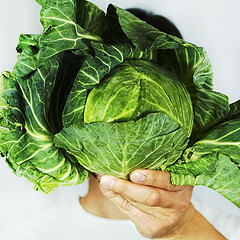 Boiled or steamed cabbage loses a portion of the vegetable’s vitamins and minerals and what is left is inorganic sulfur. The dead sulfur settles in the pockets of the stomach and causes extreme gastric distress. Later I discovered the power of juicing and found that the staple of my childhood was a valuable vegetable for my diet. Cabbage is a good source of beta carotene, vitamin C, sulfur, and if grown in mineral rich soil, selenium, a trace element that plays a big role as a cancer-fighting agent as well as protecting against heart disease and inflammatory conditions such as arthritis. Selenium, considered an anti-aging mineral, promotes healthy looking skin and increase male potency. 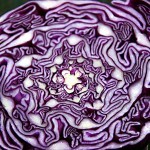 Cabbage also is inundated with the amino acid glutamine. I had an interesting experience with this amino acid in the late 1940s with Dr. Garnett Cheney, who at the time headed the Cancer Division of Stanford Medical School in Palo Alto, California, invited me to instruct him and other doctors on the proper way to juice. 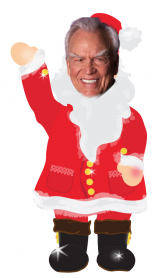 Dr. Cheney was in the process of researching the value of glutamine in healing stomach ulcers. He theorized that stomach ulcers might be precursors to colorectal cancer. Working with sixty-five volunteers, all of whom suffered from stomach ulcers, we began intensive cabbage juice therapy. Each subject drank a quart of cabbage juice a day. Because the concentrated juice resulted in so much gastric upset, we change the formula to cabbage, celery, carrot juice. Within three week all but two of the patients were healed and the two holdouts had only minimal symptoms. Today research is underway investigating this amino acid’s role in relieving or curing extreme colitis and curbing alcohol cravings. Buying and storage: Buy only cabbage heads that look healthy on the outside. Worm-eaten, decaying outer leaves indicate that the entire head may be infested with worms at worst, or at least is not fresh. Also, because the outer leaves contain many nutrients, it is counterproductive to have to discard them. I keep cabbage in the refrigerator for a week or longer. It also will keep in a cool, unheated room during the winter for several days. To make it palatable, I always mix cabbage juice with other juices, usually carrot or apple. 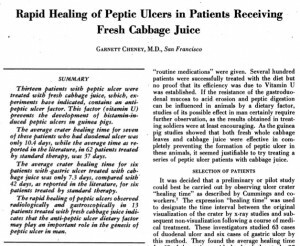 The juice combination Jay and Dr. Cheney started using was a recipe of cabbage, carrot, celery, where most of the juice was cabbage. 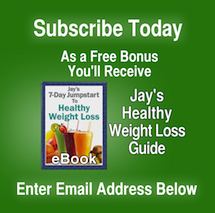 Use Jay’s new PowerGrind Pro Juicer because it’s efficient design extracts more juice and nutrients than other juicers.